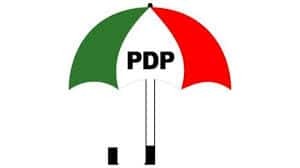 The chairman of the Peoples Democratic Party (PDP) Uche Secondus, has accused the ruling All Progressives Congress (APC) and the Independent National Electoral Commission (INEC), of rigging the Osun supplementary election. In a statement by his spokesman, Ike Abonyi, Mr. Secondus said that the Osun election is a clear picture of what will happen during the 2019 general elections. He linked the conduct of the Osun elections to that of the Ekiti governorship election, thereby accusing the APC of underserved victory. The PDP leader warned security agencies to bear in mind that their allegiance and oath of office is to Nigeria and her citizens, not to any individual or ruling party. Secondus said that the PDP will not relent until it’s stolen mandates in Ekiti and Osun states are retrieved from the undeserving holders.